Clean, safe water is essential for life. But for 844 million people around the world it’s out of reach. Global 6K for Water is an opportunity for you, your family, friends and community to help turn the tide for people who need it most. Unite with people around the world and run, walk or jog to raise funds that will help bring life-changing clean water to vulnerable children and communities. Together we can raise vital funds to help bring clean water to communities in need. As a participant you can join an existing team or participate virtually, which means you do the event at a location and time that suits you. Click here to join an event near you or join our virtual event below. 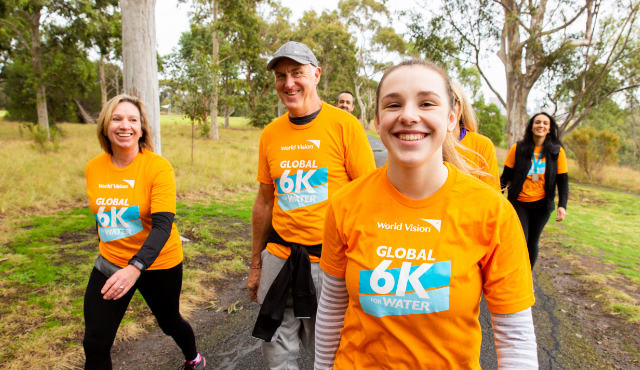 If you love bringing people together, have a knack for events or organising engaging activities for your family and community, then you’ll feel right at home hosting a Global 6K for Water event! It’s easy and fun, and we’ll give you all the support and advice you need. Sign up now and we’ll be in touch to get your 6K journey started. 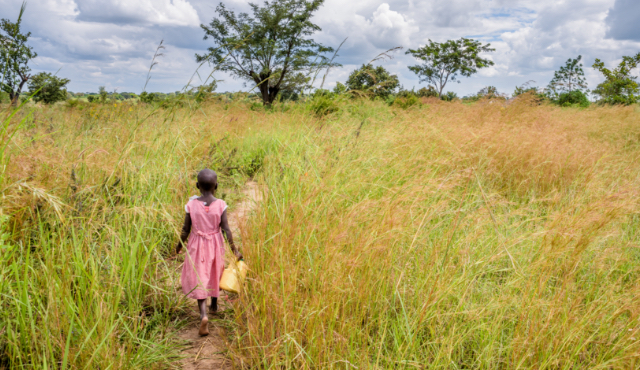 Did you know that on average, people in developing countries walk six kilometres to access water? That’s why, on 4 May 2019, people from around the globe will walk or run that distance as part of this special event. They’ll be raising funds to support World Vision’s water projects globally. We’re committed to reaching everyone with clean water, everywhere we work by 2030 – and you can help to make that happen. From planning guides to fundraising tips and promotional resources, we’ve got everything you need to help you plan and complete the perfect Global 6K for Water event!